Theodolites are important surveying instruments that are utilized when measuring both vertical and horizontal angles. Theodolites are used in the construction industry and for mapping applications. These electronic devices are particularly useful in remote locations and have been adapted for use in meteorology and in rocket technology. Because theodolites can gauge location, they are also used for navigational purposes. A fundamental theodolite incorporates a small telescope that is connected to mechanisms that gauge both vertical and horizontal angles. The theodolite is secured to a base, which rotates on a tripod. The telescope itself is secured within horizontal and vertical axes. The telescope is adjusted to point at the object that is being sighted, and the angles are then checked on the two scales that are incorporated into the telescope. In the most recently available theodolites, the readings of both horizontal and vertical circles are performed by a rotary encoder. The most modern theodolites incorporate infrared measuring tools. This scale, which is also referred to as a vertical circle, incorporates a 360-degree scale. The vertical scale is secured with its center in a co-linear position to the trunnion axis. This scale is used to measure the vertical angle, which exists between the horizontal and the collimation axis, or line of sight. 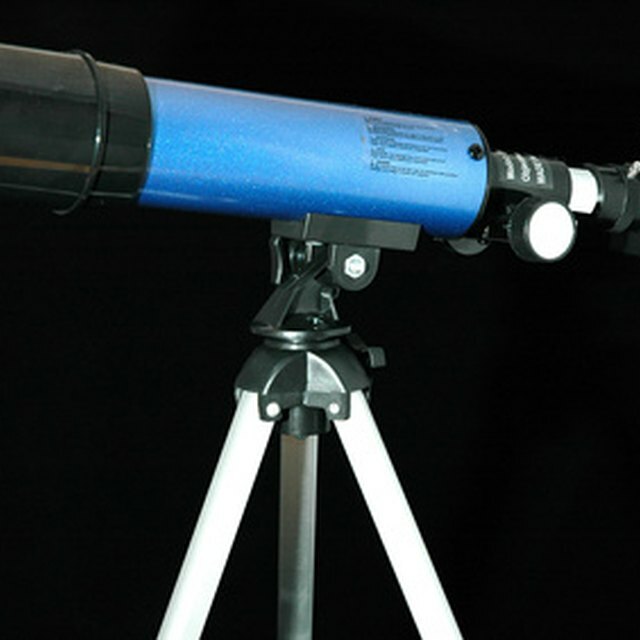 The vertical clamp, which is positioned on a standard, holds the telescope at a specific angle. Once released, this clamp permits free transition of the telescope. With the vertical clamp in place, the vertical tangent screw allows for fine adjustments to be made. This scale, which is also termed the horizontal circle, incorporates a full 360-degree scale. The horizontal scale is typically positioned between the lower and upper plates. This scale or circle has been designed for complete independent rotation. The horizontal scale is utilized to delineate the horizontal direction in which the telescope will be pointed, relative to a fixed direction. This clamp fixes the horizontal circle to the lower plate. The circle is able to rotate about the vertical axis, once the clamp is loosened. Even when clamped, it is possible to rotate the horizontal circle, by making use of the lower-horizontal tangent screw. In modern theodolites, both circles are typically read through a single eyepiece. 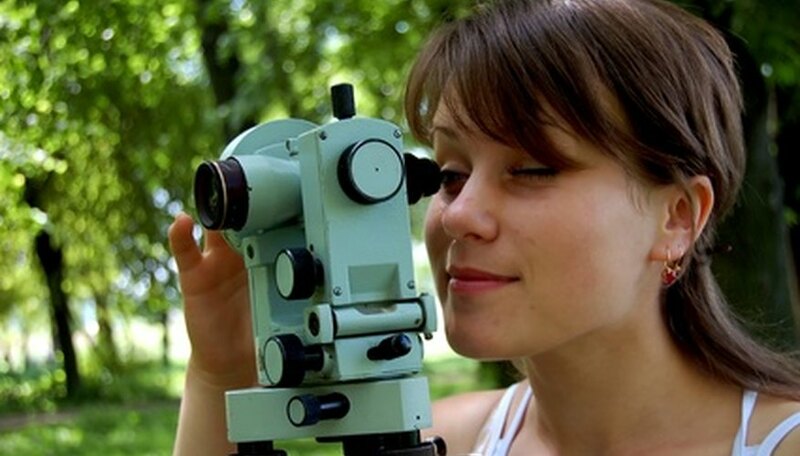 This eyepiece is usually positioned on one of the standards. Mirrors, which are incorporated into the instrument, reflect light onto the vertical and horizontal circles to facilitate reading. Bolton, Naomi. "Theodolite Components." Sciencing, https://sciencing.com/list-7564729-theodolite-components.html. 09 January 2018.